Beautiful Move In Ready home! This three bedroom, 2 bathroom house has been meticulously maintained and cared for. The large kitchen is perfect for cooking and the open concept living areas are great for entertaining family and friends. There are three large bedrooms upstairs to include a front to back Master bedroom. This Master has a spacious walk in closet and en suite bathroom. An additional bathroom is located on second floor, too! The finished basement has plenty of room for your big screen TV or to create a private gym area. This home is very economical to heat with oil and wood stove. 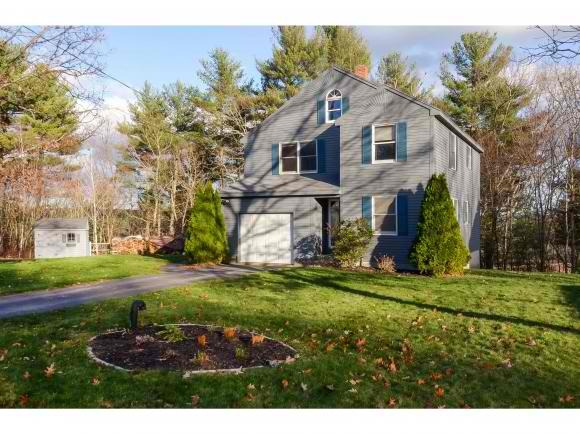 Nice large yard with slope in back leading to quiet and peaceful wooded area. Enjoy the proximity of this home as it is close to town but far enough for you to relish the serenity of its wooded country setting. Move quick on this gem, as it is also within one hour of beaches, lakes, and mountains!